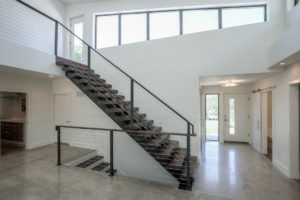 This Gramercy Place condo will sell fast! Hurry to see this spacious 2-bed/2-bath condo on the ground floor with newer windows and sliding glass door! 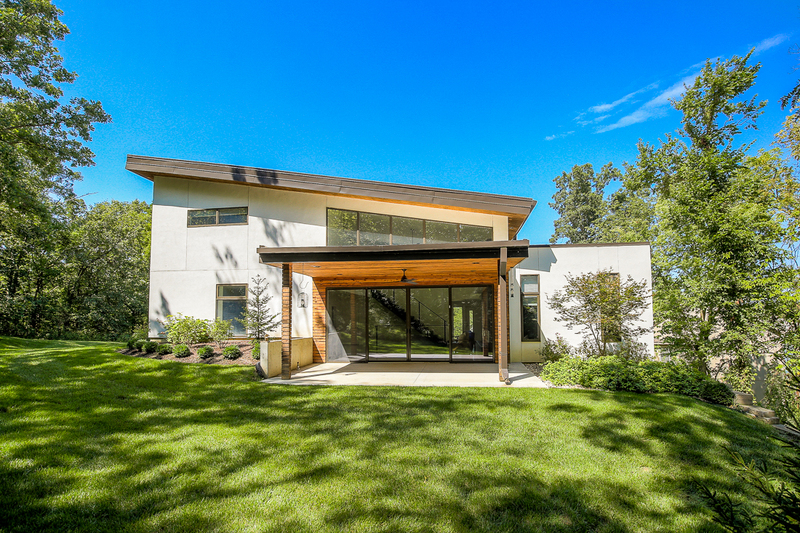 The home offers large bedrooms, a living room and good-sized dining room. There is ceramic tile in the kitchen, hallway and bathrooms, as well as granite counter tops in the updated kitchen and baths! 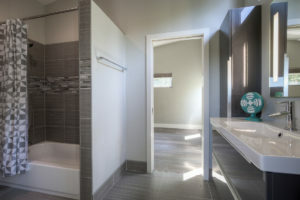 You’ll love the custom tile and accent in the master bath! Relax outdoors on the large fenced patio. This property is located close to the pool and clubhouse – and there’s plenty of summer left to enjoy these amenities!! 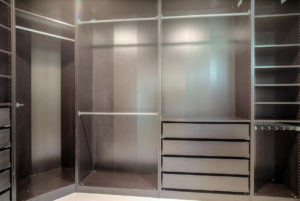 Unlike most of the other units, this condo comes with a private laundry room right across the breezeway! Gramercy Place offers a central location close to popular shopping and dining amenities. 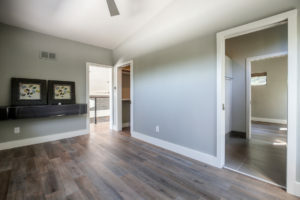 You’ll enjoy quick access to the 95th Street corridor, as well as US 69 Highway for commutes. Monthly HOA fees cover maintenance and insurance on the building, lawn care, trash and recycling, snow removal, the club house and pool, and water. The community pool is just steps from the back patio! To learn more or to schedule a tour, contact Ralph at 913.579.4529. Please share with anyone you know who is a match! Memorial Weekend Kansas City Style! 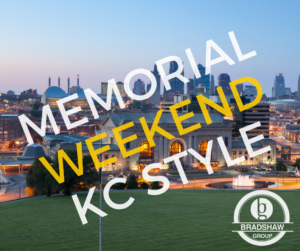 It’s almost Memorial weekend Kansas City! What are your plans? We’re sure lots of you will spend the weekend poolside as neighborhood and public pools open for the season. It’s also opening weekend at Oceans of Fun, if you’re looking for water fun on a bigger scale! Make it a day and visit both Worlds of Fun and Oceans of Fun for one price! Check out the new Stingray Bay at the Kansas City Zoo! You’ll have the opportunity to be up close with two species of stingrays – cownose rays and southern stingrays. In addition to the stingrays, the tank is also home to a dozen whitespotted bamboo sharks! On Sunday, head to Union Station’s annual Celebration at the Station featuring a performance by the Kansas City Symphony. Be a part of the largest FREE Memorial Day weekend festival in the Midwest. This all-day family affair features pre-concert musical acts, food trucks and more! But don’t miss the main event – a Symphony concert to a grand fireworks display! Bull Creek Distillery Check out Johnson County’s newest restaurant, full bar and distillery in Spring Hill. Bull Creek’s layout is perfect for a night out or time with family and friends! It’s kid-friendly, too, with outdoor games, music and room to roam! While you’re there, visit The Bowery next door! Martin City Brewing Company Pizza & Taproom This Martin City gem is crossing Stateline to open a NEW location at Mission Farms!! The Grand Opening is scheduled for this weekend, Saturday May 26 from 11AM-late. Enjoy food, drink, live music and yard games with family and friends! Somerset Wine and Cider Bar This new urban micro winery from Somerset Ridge Vineyard and Winery features live music on Fridays, Saturdays and Sundays and also produces Lucky Dog Hard Cider. The charming grounds are perfect relaxing! Swing by for a sip! If you have a new favorite around town, we want to hear about it! Wishing you all a safe and FUN holiday weekend! Holidays are the perfect time of year to welcome friends and family into your home! 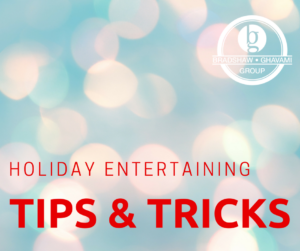 Whether you’ll have company staying with you, or you’re on to host a holiday party, we’ve pulled together a few quick holiday entertaining tips to help! It’s a busy season, and having overnight guests can add to your to-do list. But, keeping things simple can help manage the stress. Have a few ideas in your back pocket to keep everyone entertained – these ideas are great for a group to go out and do or as suggestions for your guests to explore our great city on their own! As for preparing your home, it’s nice to provide fresh linens and have toiletries available for use. And, if you have time to clear a drawer or add some extra hangers, that’s great, too! Show your guests around when they arrive – if they feel comfortable to help themselves, that’s even easier for you! We all spend extra time in the kitchen this time of year, but every meal doesn’t need to be a fancy spread! Spend less time in the kitchen and more time with your guests by planning ahead for a few easy meals. Think of food that feeds a crowd – lasagna/bread/salad, chili/toppings/cornbread, soups/sandwiches or a taco bar! Meals like these often provide leftovers that make for quick lunches, too. A win-win! If you want to keep it REALLY simple, carry in! You can place orders ahead with restaurants like Olive Garden, your favorite Chinese restaurants and more. This is a good option if guests want to contribute to a meal as well. Everyone can chip in and have a yummy meal with little effort! Appetizers are also perfect for holiday entertaining! In fact, you can make a meal out of a few apps, salad/soup and a sweet for your guests. For those of you hosting holiday parties or attending events and need to bring an app, check out these quick snacks – from hot appetizer options to nacho recipes, you’ll find something that catches your eye! And don’t forget about drinks! Have a variety available to guests, including mixers and fun non-alcohol options. If you’re feeling extra festive, here are some signature holiday drinks to consider! We wish you all a safe and happy holiday season! 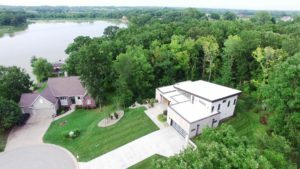 This Canaan Lake beauty is ready for you to call home! 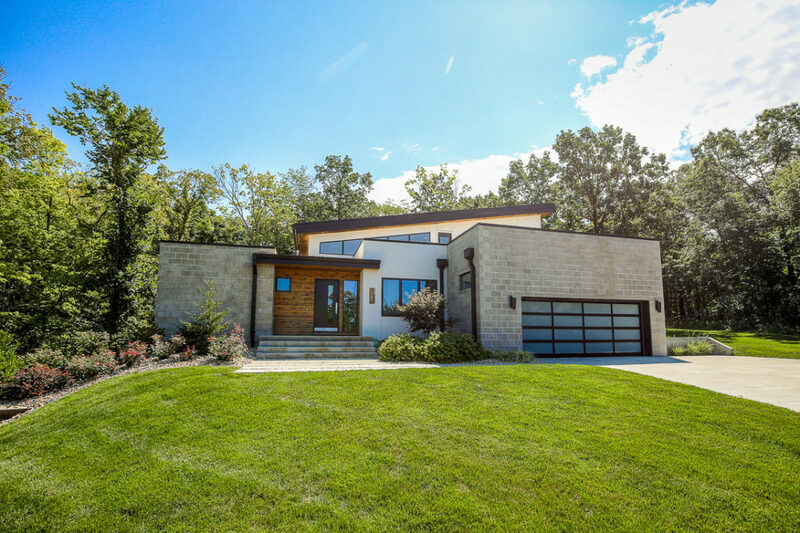 Built in 2014, this 4-bedroom/2.1-bath residence at 4717 Canaan Lake Circle is open and spacious with high ceilings and generous amounts of natural light. 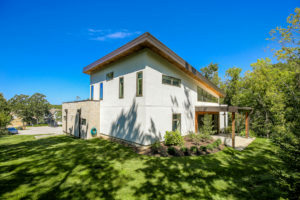 This unique home is located just minutes from Cerner’s Campus, as well as Children’s Mercy Park and The Legends. 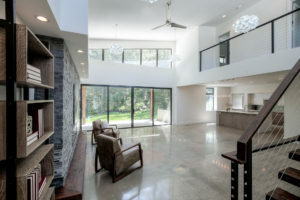 Stunning polished concrete floors greet you on entry and flow throughout the main level, accentuating the clean and crisp feel of the space. 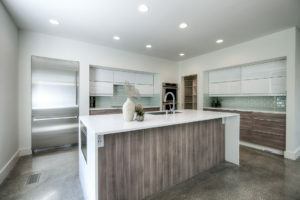 The high-end kitchen boasts an oversized island, lots of counter and cabinet space, a double oven, walk-in pantry and Thermador appliances. 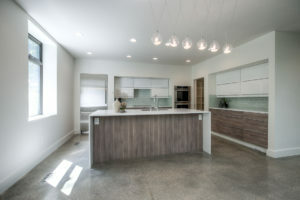 The open concept is well-suited for entertaining across the main level and onto the back patio. The covered concrete outdoor space feels secluded and quiet. 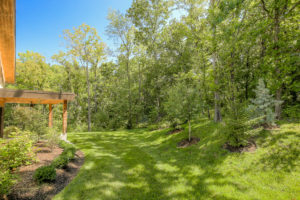 It sits at the edge of the peaceful wooded backyard. There is room for an outdoor dining and a seating area, or an exterior living space set up. 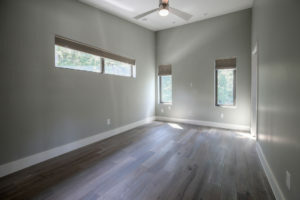 All bedrooms feature hardwood floors and treed views from the windows. 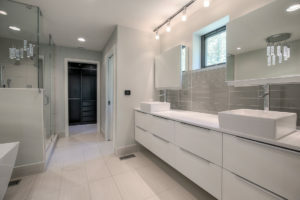 The luxurious master bath features heated tile floors, a freestanding tub, glass shower and long counter with double sink bowls. 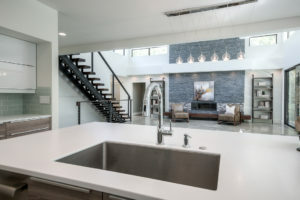 Sleek lighting throughout the home complements the modern style. Neutral color tones will support a variety of décor choices. Many outlets in the home offer USB ports. 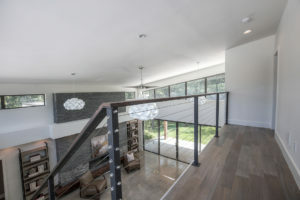 For convenience, the home includes a central vacuum system. 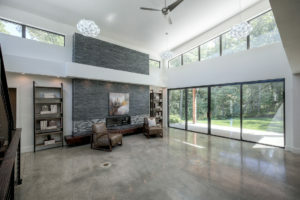 The home operates on a zone heating and cooling system to promote comfort and efficiency. A Nest Learning Thermostat is in place, as is Google Fiber. An unfinished walkout basement is stubbed for a bathroom and stands to provide additional living space with your finishing touch! 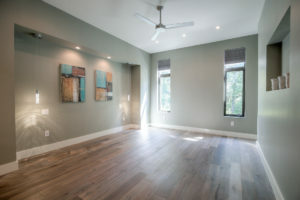 The home sits near calm Piper Lake, providing a tranquil environment away from busy daily life. 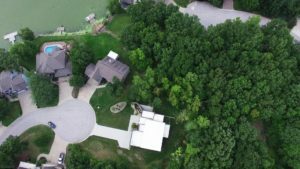 Take an aerial tour of the property, then contact Majid Ghavami at 913.980.2434 for your private tour. You can always reach a member of BGG at 913.402.2599.